ReferralExchange has partnered with Giveback Homes to help create social change by providing homes to families in need. We will donate $100 for every closed outbound referral and match any additional agent contributions, up to a total of $20,000. In June, we teamed up with Giveback Homes and Habitat for Humanity for our second build project in Sacramento. 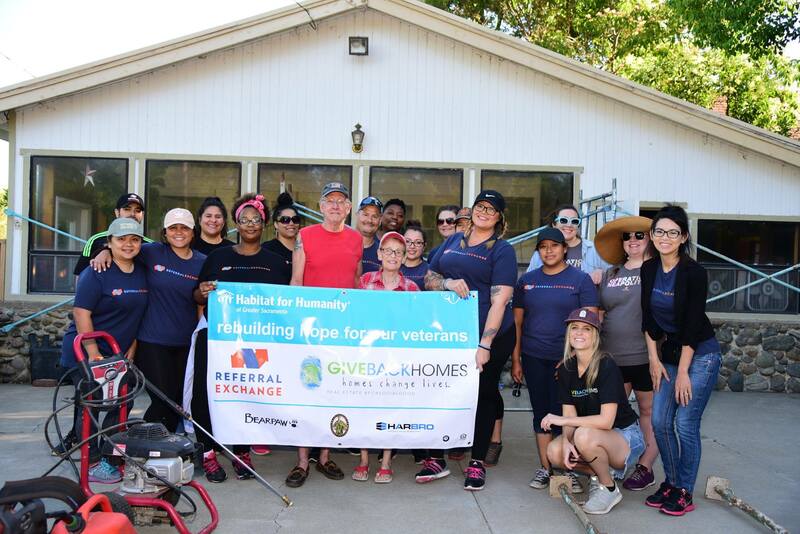 Eighty of our employees volunteered to work over the span of four days to transform the home of a local Veteran and his wife. Check out photos from our build day or contribute to a local project in your area. We have reached our goal to help repair a roof for a family in Puerto Rico. 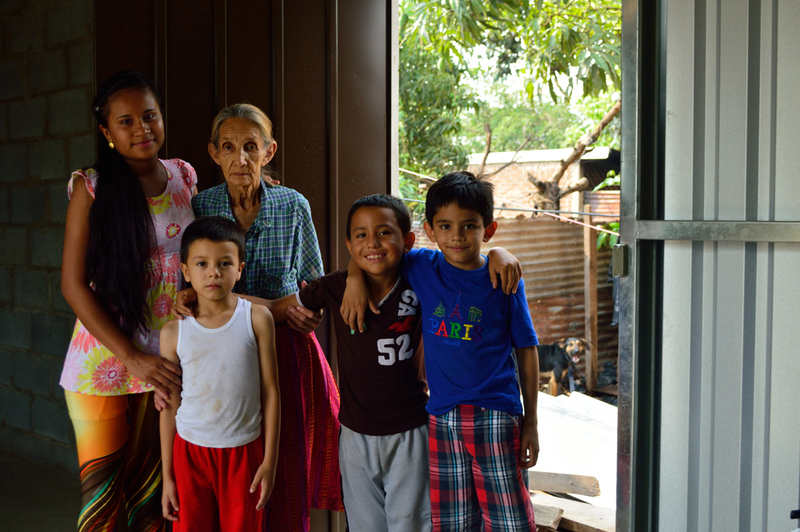 Isy Monge Carrasquillo is a single mother of two children, a four-year old and a six-year-old. Isy works as a secretary in a hospital. Expected completion of roof: January 2019. 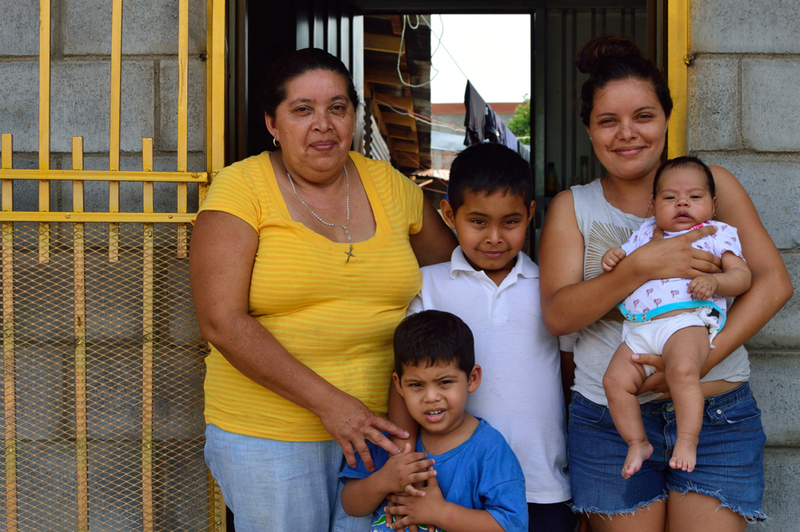 In December 2016, we joined Giveback Homes and Habitat for Humanity to build a home for the Sanchez Family in San Cayetano, Nicaragua. The family of eight were living in a home made of wood and plastic. Now, thanks to Giveback Homes and Habitat for Humanity, the family has a safe and sturdy place to call home. Checkout photos and a recap of our journey to Nicaragua. 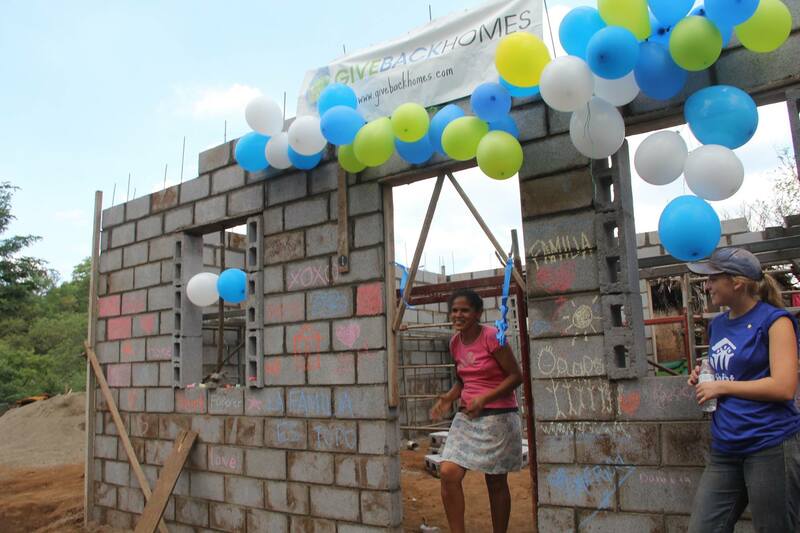 We have just reached our goal to fund two more homes in Nicaragua! Maria Eva is a 79-year-old mother of 14. Out of these 14 children, seven have passed away. She currently lives on a lot with various small structures, where she and much of her extended family live, including two of her children and their own families. Maria is looking forward to a safe, new home for her family. Blanca is a 53-year-old widow. Her husband Jose, who worked as a farmer, passed away eight years ago from stomach cancer. Currently, her two daughters, 27-year-old Ingrid Yaritza and 24-year-old Jessica del Carmen, live with her. Both were able to finish high school. Blanca feels very happy to receive the blessing of this new home, which will be a much safer place for her and her family to live. Read the full family bios here. Interested in joining Giveback Homes? Mention ReferralExchange to receive a discounted rate of just $25/month. Sign-Up Today, and enter REX as your Building Code to receive the special rate.